Jin Woo Kim, a postdoctoral researcher in Dartmouth’s Quantitative Social Science department, pounced on an opportunity for discovery in then-Judge Brett Kavanaugh’s confirmation to the Supreme Court. His study revealed that, among other findings, Kavanaugh’s confirmation caused polarization in public trust of the Supreme Court, an especially important discovery in the contentious months leading up to the midterms. The analysis was published in the Washington Post on Oct. 31. Kim found that the starkest polarization happened among women. Kim arrived at this conclusion by polling American voters before and after Kavanaugh’s official confirmation, allowing him to observe how the “informational shock” of the event influenced, or did not influence, voters’ partisan preferences. Kim said he did not realize until after the Kavanaugh hearings that he wanted to conduct research on the public’s reaction. He added that Christine Blasey Ford’s compelling testimony drew him in, piquing his interest in the implications of the event. “I spent the day, like many others, just watching [the Kavanaugh hearing], and I couldn’t do anything else — it was so emotional,” Kim recalled. 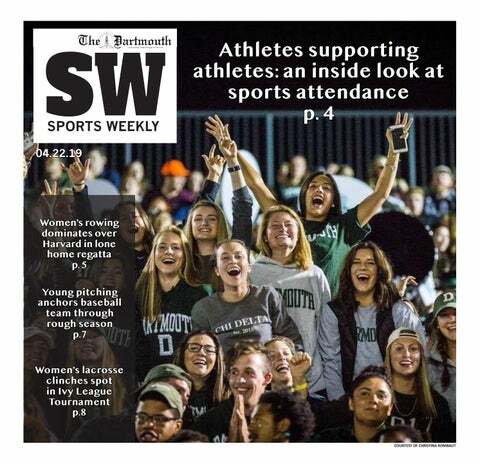 Student Assembly vice president Nicole Knape ’19 said she watched the shock waves of Kavanaugh’s hearing confirmation play out on Dartmouth’s campus. She and SA president Monik Walters ’19 sent out an email to the student body at the time of the hearings declaring their firm commitment to sexual assault prevention. Having realized the potential for valuable research in an event that related to sexual assault, executive power and public opinion, Kim quickly developed a study using Amazon’s Mechanical Turk service to compare people’s voting preferences and trust in the Supreme Court. Kim says he expected to find polarization either along party or gender lines, but he was not sure which would override the other. QSS professor Michael Herron lauded Kim for his experimental design which managed to balance control and relevance to an external event, a feat that he said few political science experiments are able to claim. Kim said that his study will serve as evidence for a period of partisan gridlock in U.S. Brendan Nyhan, Kim’s postdoctoral supervisor who has since moved the University of Michigan, also wrote about permeation of partisanship into what has been long regarded as the “umpire” for American politics. “Increased ideological and partisan divisions and pressure from the #MeToo movement could dent the court’s image, especially since the coalition backing the prospective new justice has such narrow support,” Nyhan wrote in an article for The Monkey Cage, a column of The Washington Post. Back on campus, the executives of student council put politics aside to address the emotional effects of Kavanaugh’s confirmation on sexual assault survivors. Knape made her message unmistakable.